Rest in Peace Detective Brewer. Thank you for your service. My thoughts and Prayers go out to your family, coworkers and friends. Thank you for your service Detective Brewer. May you rest in peace. Thank you also to your blood and blue families for their sacrifice. A police officer should be remembered not by how he died, but how he lived! A great man has gone to secure a safe path for the rest of us to follow. 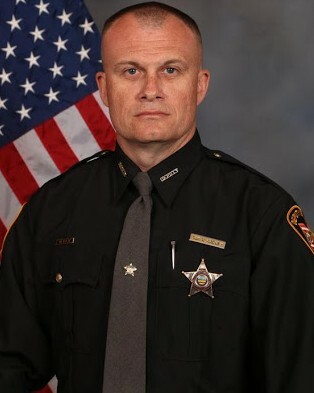 Thank you to you, your family and the Clermont County Sheriff's Office . Our country is a little less safe without you. Rest in Peace Brother! Rest in peace officer. Prayers to your blood, love and blue families. Final Salute Detective Brewer. Thank you for your service. You are a hero. Rest peacefully in the presence of God. We are praying for the family and fellow officers.